Paarl (pearl) at the banks of the Berg River, 60 km close to Cape Town South Africa. 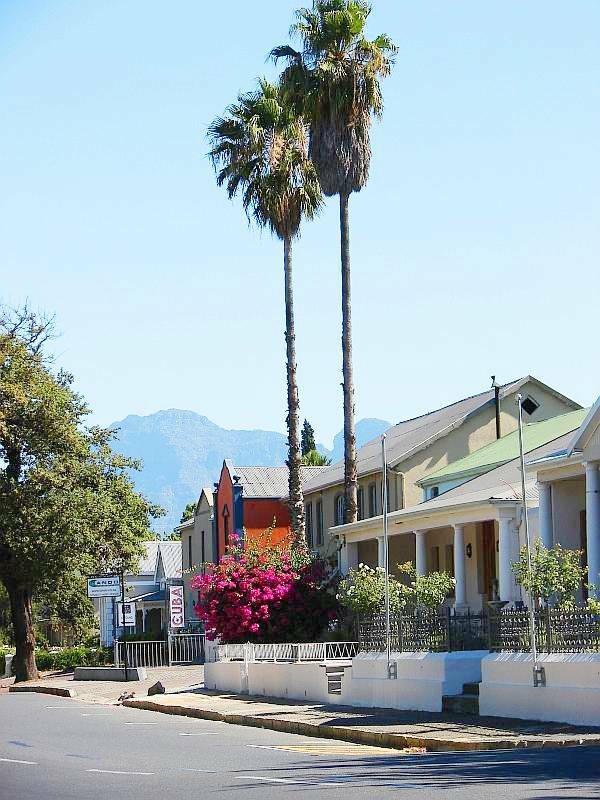 Paarl with its population of 105 763, lies on the banks of the Berg River at the foot of a cluster of giant granite domes which surge 654 m into the sky and provide a remarkable contrasting landmark in a countryside dominated by folded ranges of reddish-coloured sandstone. It was in October 1657 Abraham Gabbema, a pioneer explorer from the settlement at the Cape, became the first European to reach the valley of the Berg River. The cluster of granite domes, moistened by rain, glistened so much in the sunlight that he named them the paarl (pearl) and diamandt (diamond) mountains, while the valley in which the town was destined to grow became known as the Paarl-vallei (Pearl Valley). In 1687 the first farms were granted to settlers in the area. Laborie, Goede Hoop, La Concorde and Picardie were settled by French Huguenots in the following year. In 1720 a church was build and this is often considered to have been the start of the town, although the first settlers were in the area in 1687 and there was a water mill in operation by 1699. 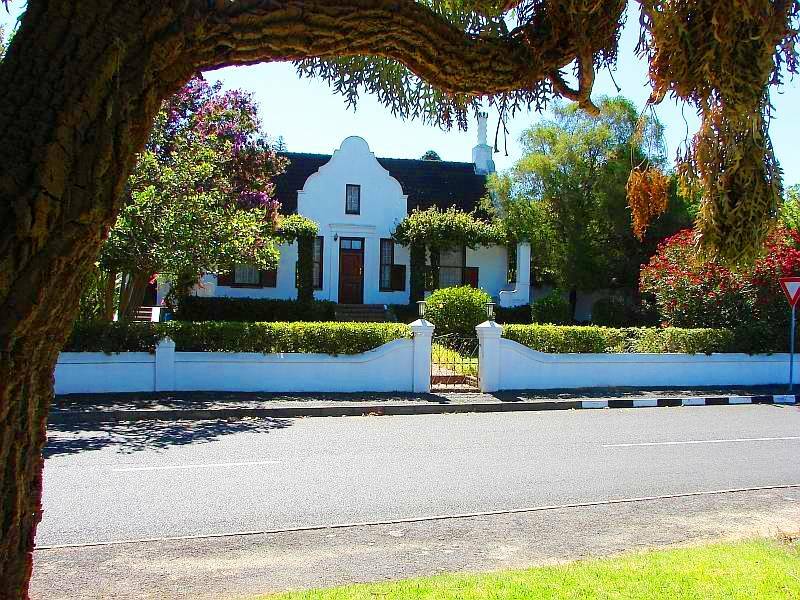 A walk through Paarl will reveal several other examples of architecture which survive from different periods. One very extraordinary construction in Paarl unfortunately no longer remains. A miller named Blake had a water mill with a wheel so enormous that it resembled something from the famous Vienna amusement park. The building, minus the wheel, is still in use as a municipal store. Paarl became a municipality on 9 October 1840. The original wagon road became the long main road and a programme was commenced of planting oaks. The town was considered to be the third oldest in South Africa. 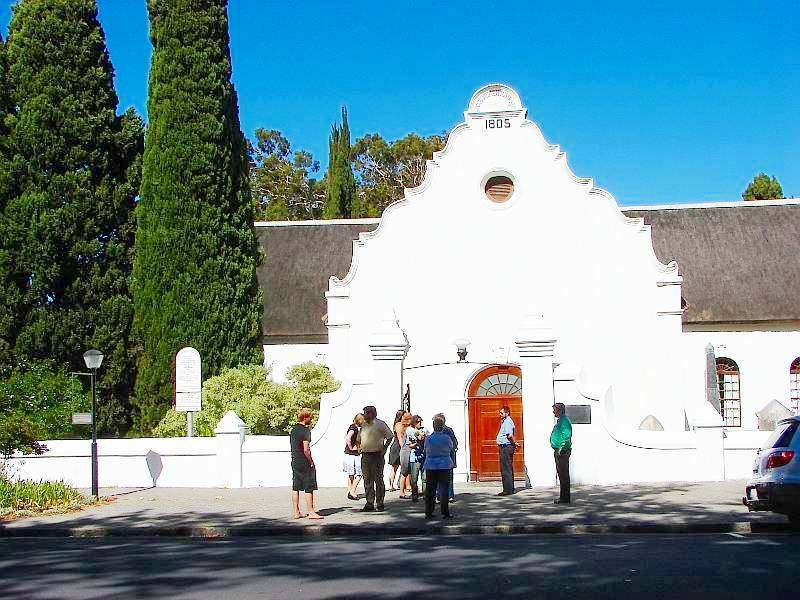 Culturally, Paarl played a major part in the establishment of the Afrikaans language. With his colleagues, Pannevis worked on the grammar and vocabulary of the language. On 15 January 1876 they launched the first Afrikaans newspaper, Die Afrikaanse Patriot, printed on a simple little press in Malherbe’s house. “The Taal Monument” has been erected and is visible for a considerable distance.